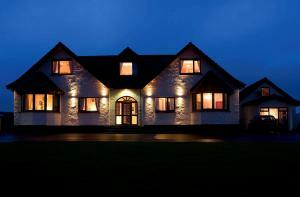 Choose from 4 hotels and guest houses in Western Isles. Shown below a just a selection of the hotels available. To search within an area please use the menu on the right. Braighe House - This stunning, sea-facing guest house offers top-quality accommodation from its location on the edge of Stornoway, 2 minutes from Stornoway Airport. Braighe House has a friendly atmosphere and is perfect for enjoying a relaxing stay and a great breakfast in the Outer Hebrides. Most bedrooms have superb sea views, and all have a flat-screen LCD TV and free wireless internet access. Holm View Guest House - Situated in picturesque Stornoway, 4-star family-run Holm View Guest House is on the east coast of the Hebridean Isle of Lewis, a short journey from the ferry terminal and airport. Holm View Guest House offers comfortably furnished, spacious rooms, all with a satellite TV and sound system. Some rooms have panoramic views and free Wi-Fi internet access is available. There is also separate cottage accommodation. The guest house has a tranquil position, with stunning views towards the Isle of Skye. The surrounding area boasts spectacular beaches and beautiful scenery. An excellent breakfast is included, served by the friendly, helpful staff and a continental breakfast is served in the cottage. Local leisure pursuits include golfing, fishing and windsurfing. Thorlee Guest House - Superbly situated in the centre of Stornoway, Thorlee Guest House is on the harbour front, a short walk from the ferry terminal and close to the airport. 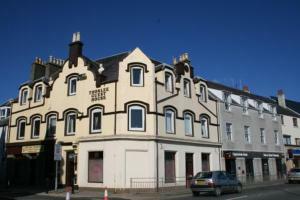 Thorlee Guest House offers comfortable rooms, with some en suite facilities and satellite TV. Some of the rooms have panoramic views of the harbour and castle. 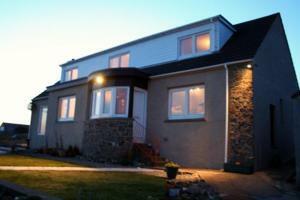 Local area amenities nearby include museums, sport centres and Stornoway Golf Club. There are also a number of restaurants, pubs, bars, shops close by. Free parking is available for guests. Broad Bay House - This luxury beachside guest house has stunning views, a beautiful setting and stylish rooms with private decking. Enjoy the quiet, unspoiled beauty of the Hebrides from Broad Bay House, just 7 miles (11 km) north of Stornoway. Each spacious, stylish room has free Wi-Fi, an iPod dock, a DVD player, solid oak furniture, Molton Brown toiletries and luxurious bedding. Dinner is served overlooking the beach from the relaxed dining room (must be reserved 24 hours in advance). Ingredients are sourced from the islands where possible.